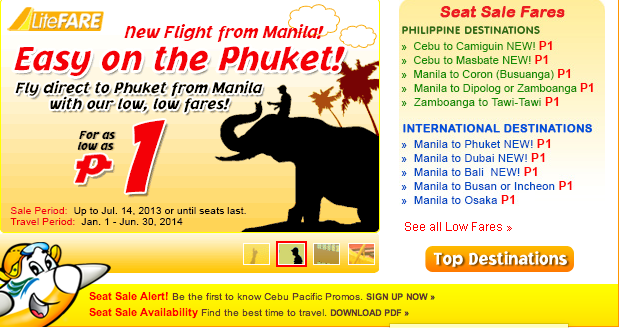 Cebu Pacific Promo: Piso Fare is here! im asking f u have a promo frm manila to hongkong plz kindly send me a feedback thanks!! there is still available seats from manila to honkong. . Try and try lang...we were able to book 4 flights! On months Feb, March and June! Gud eve.ask ko lng po kung panu magpabuk frm mnila-phuket flight may26-31,2014? Gud am?ask lang po kong may promo uwi kasi ako august,17 frm.manila to general santos.tnx. Do you still have promos for 2014 intl travel? how can you get the promotion code?